Because of the sensitive nature of most legal matters, we know that a client must be able to trust his/her attorney completely. 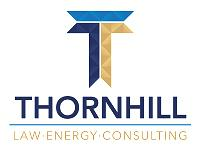 At Thornhill & Collings, L.C., we strive to earn the trust of each client, and maintain that trust not only through competent representation, but also by dealing fairly and honestly with each and every client. We strive to ensure that our work for each client - whether it involves drafting a will or trying a complex case - is consistently of the highest quality. In furtherance of this goal, we see to it that all of our records are detailed and clear, as is our communication with our clients. Depending upon the nature of a particular case, our attorneys work by the hour, on retainer, or for contingency fees. Our fees are always reasonable, and are based upon each individual attorney's knowledge and experience. Furthermore, each hourly client receives a monthly statement which sets out in detail the services performed, the individual who performed the services, the time spent, and the charge for each service. At Thornhill & Collings, L.C., we know that legal education does not end when an attorney receives his/her law degree. Our attorneys attend Continuing Legal Education seminars throughout the year, as well as additional courses which are pertinent to their particular area of practice. The attorneys of Thornhill & Collings, L.C., are committed to community service to the local church, civic, educational and political associations. They serve in capacities as varied as lecturers in the law, sponsors of sport teams and church leaders. Because our attorneys and staff incorporate these principles into every aspect of our daily practice of law, our clients receive high quality legal representation. At T&C, our attorneys provide to clients not only their knowledge and experience, but also the honesty, clarity of communication, and dedication to excellence which sets our firm apart from others. Ken George Real Estate and Development, Inc.
Leon Lowe & Sons, Inc.
Pearl River Wood Preserving Co., Inc.